Manchester Metropolitan University (MMU) is a British university located in North West England. Its headquarters and central campus are in the city of Manchester, and there are additional facilities in the county of Cheshire. The university has its roots in the Manchester Mechanics' Institution (1824) and the Manchester School of Design (1838). It is the fifth largest university in the United Kingdom in terms of student numbers. Teaching quality inspections place the university within the top twenty in the UK, according to The Complete University Guide. Teaching standards have also been described as 'among the highest in the country' by the Quality Assurance Agency. The university is ranked fourth of the new universities in attracting research funds from the Higher Education Funding Council for England. The university is an accredited member of the Association of MBAs, a member of the University Alliance, the Association of Commonwealth Universities, the North West Universities Association and the European University Association. The university is home to the Manchester School of Art, the Manchester School of Theatre and, in conjunction with the University of Manchester, the Manchester School of Architecture. 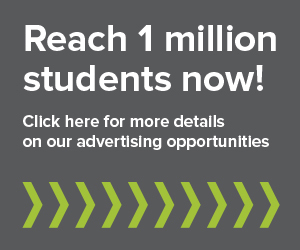 Studentpad is the number one platform for advertising student accommodation. Find student tenants in your city with our modern, fast, and user-friendly databases for student housing. We currently serve over 100 higher education institutions throughout the UK and counting. Students are online now searching for properties just like yours! Thank you. You will start receiving our newsletters.